The competition’s getting tight. October 23rd was week 6 for the contestants on Dancing With the Stars, and after elimination, there are only eight couples left. But Lindsey and Mark’s Monday night routine totally awed the judges and the audience with their flawless choreography, Lindsey’s robotic makeup and costume, Mark’s mad scientist skills and the chemistry that makes them one of the best couples we’ve ever seen on DWTS. 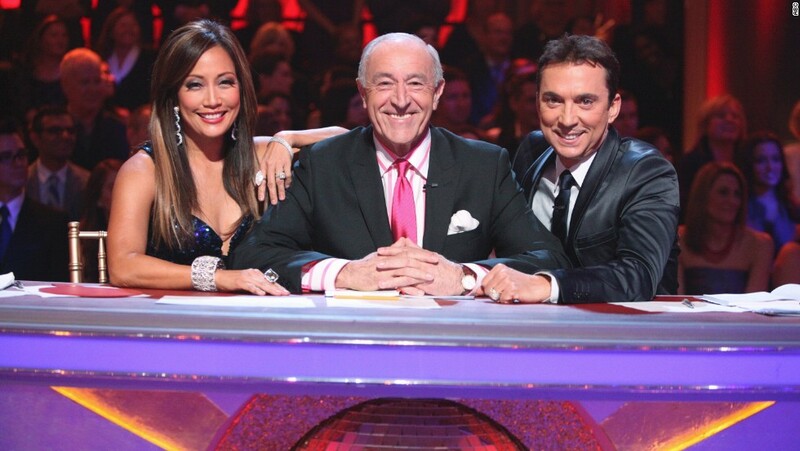 Len Goodman gave similar praise. “Well, I know it’s a science fiction, but… let me tell you a fact. I thought the choreography was phenomenal. I thought the dancing was brilliant. I gave you a 10 last week because you deserved it. And I’m not gonna lie, you deserve another 10.” He almost never comments without some sort of critique or suggestion, but for the second time in a row, he had no complaints about this dancing pair. What did you think of the sci-fi dance? Comment below. If you haven’t seen any of Lindsey Stirling’s other videos, check them out on ABC‘s official website and searching through the clips of Lindsey and Mark. After a Floating Rib Injury, Lindsey Stirling Says Prayers Pulled Her Through Lindsey Stirling and Mark Ballas Score 24/30 on DWTS Lindsey Stirling Addresses Weight Loss from Dancing with the Stars Which Mark-and-Lindsey dance are you? Lindsey Stirling Is Creating her Own Comic Book?